What would you do if you had a few drinks and found yourself face-to-face with a menu item filled with steak and poutine for only $19.99? If you’re anything like me, you order the crap out of it. This lovely scenario is exactly what happened when I found myself at Rohrbach Brewing Company in the Gates neighborhood of Rochester. 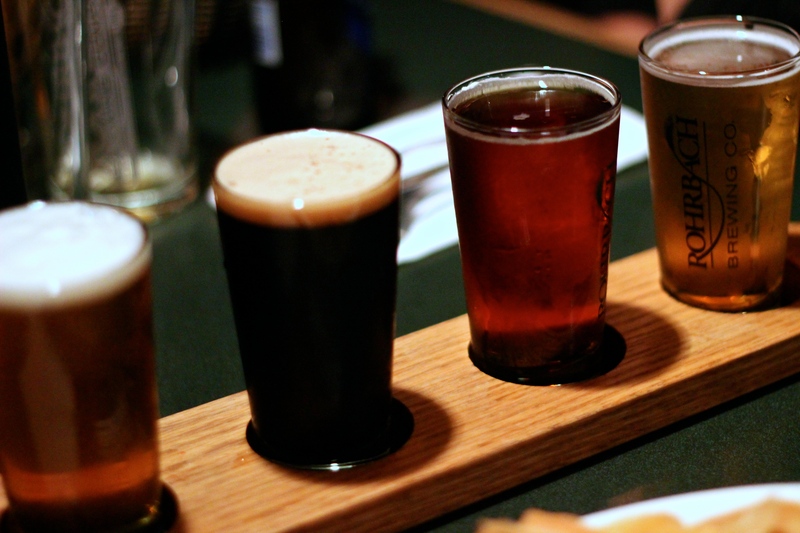 Of course, I had already enjoyed some of their beers, including their delectable Scotch Ale. As for that steak, it was called the Great Canadian and featured a 12 oz. 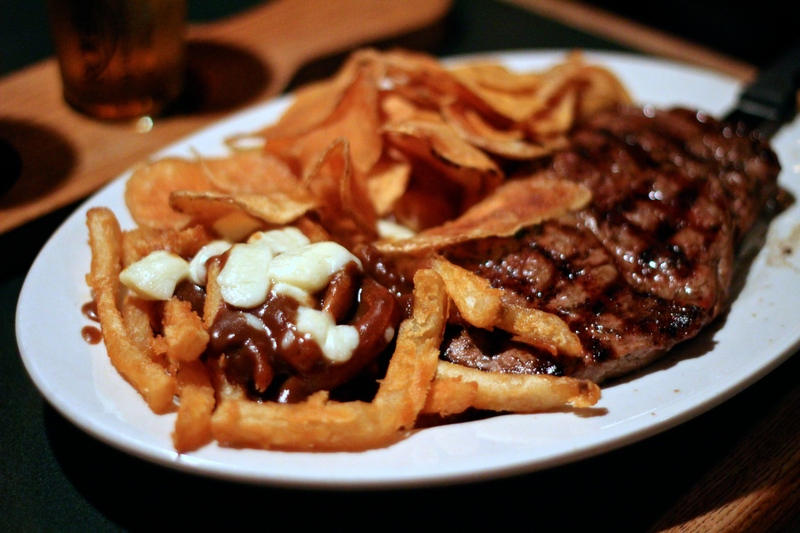 flame-grilled Montreal-seasoned Delmonico steak (of unknown variety), with poutine and a vegetable. Even in my state, I knew to ask what the veggie was and upon learning ensuring a swap out of veggie for their house-made chips. I ordered the steak medium-rare and awaited my feast. I won’t go so far as to say ordering steak at a brewery was a bad choice, but I will say it wasn’t the best choice. Was the steak cooked right? Yes. Was it well-seasoned? Sure, why not. But as I ate it I was certainly jealous of the people eating burgers around me. Because in the end, while the steak was nothing to complain about, I was silly to not to order something that breweries do best. I will say, though, that the poutine was a damn nice touch and was filled with nicely crisped fries, decent gravy and gooey cheese curds. Rohrbach was a solid introduction to Rochester, but I had bigger fish to fry. I enjoyed my meal, but had to save space for what food may come.